The Stradbally Steam Museum celebrates the steam engines that once ruled Ireland’s railways, built its roads and worked its farms. Inside the museum, visitors can see a variety of steam-driven engines. The collection includes the Mann Steam Cart, built in 1918. This small steam traction engine cleared and ploughed land. The Fowler, another steam traction engine, built in 1936, was used in roadworks and to power stone crushers. Also on display is an elegant black steam engine commissioned by engineer Sam Geoghan in 1912. This small engine hauled raw materials around a track inside the Guinness Brewery. It took barrels of stout to the wharf on the Liffey, where they were put on boats and taken throughout the world. Not far from the Steam Museum, the Steam Preservation Society operates a narrow gauge heritage railway in the grounds of Stradbally Hall. This track, about one kilometre long, was built between 1969 and 1982 by volunteers. As with the feeder railways of rural Ireland, which once linked into the main railway lines, the gauge, or width, of this track is three feet. The steam locomotive that pulls the train was constructed for Bord na Móna in 1949. 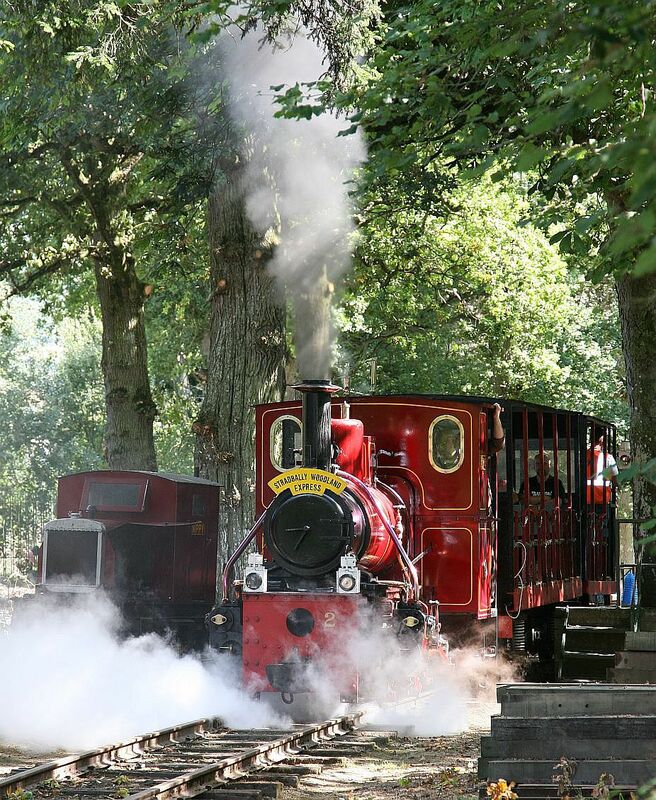 Rides on the narrow gauge railway are available to the public on Bank Holiday Sundays and Mondays from May to September. Each August Bank Holiday Weekend the Society hosts a Steam Rally in the grounds of Stradbally Hall. Check the website of the Irish Steam Preservation Society for full details of running times and events.